By harping on non-conventional operations like COINOPS as its primary task, the Army is shrinking its role in conventional war. 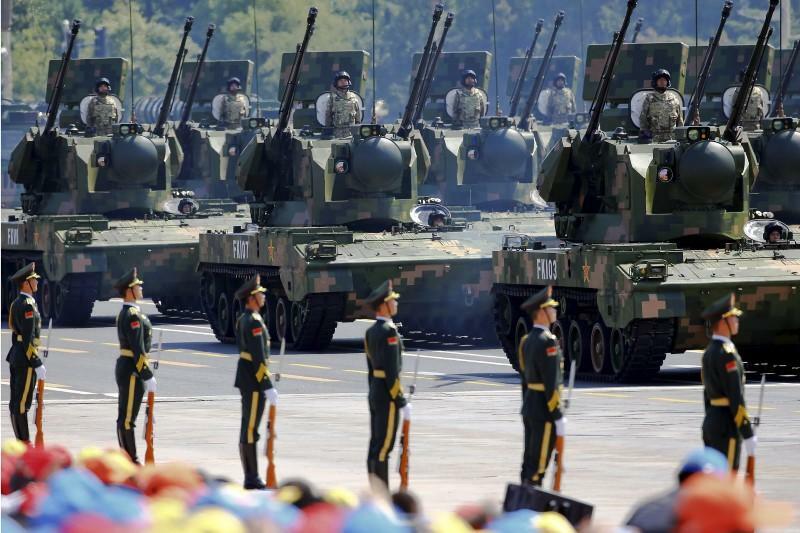 The military threat from China comes from its strategic and operational joint-ness. Once the People’s Liberation Army’s (PLA) military build-up in the winter of 2017-2018 became apparent, Modi lost his nerve and hurriedly sought peace with China. His spin-doctors softened the force of national humiliation by calling it the ‘reset strategy’. The reality was that India, for the first time since Independence, had capitulated to military coercion. China won without firing a shot. The PLA’s threat comes from the joint-ness of its forces, combined with the capabilities – kinetic and non-kinetic – that can be brought to bear on India. The PLA’s impressive non-kinetic capability is amalgamated under the new Strategic Support Force (SSF). The SSF, comprising space, cyber, electronic, psychological and other technical capabilities, has two tasks: to support joint operations, and to independently paralyse and sabotage enemy’s command, control, communication, computer and intelligence systems. The PLA’s kinetic capabilities include its army, air force and navy domains, reinforced by precision long-range cruise and hypersonic missiles, unmanned combat aerial vehicles and directed energy. These humongous capabilities will be complemented with the second wave of technologies, including Artificial Intelligence (AI), partially autonomous unmanned systems, robotics and human-machine interface, under China’s New Generation AI Development Plan. The AI will help the PLA increase the speed of conventional operations and overwhelm the enemy war-fighting loop – called the Observe-Orient-Decide-Act (OODA) – to ensure the enemy remains defensive and unbalanced in war. These expansive military reforms were initiated once the PLA decided to move its pivot from land-based territorial defence to extended power projection. 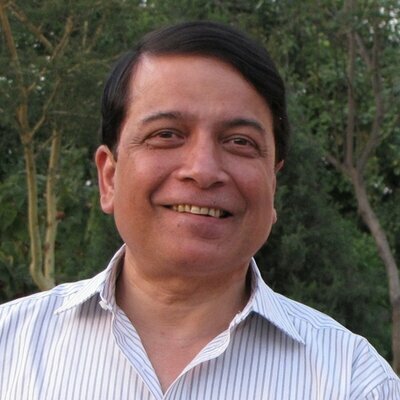 It did so because it does not consider the Indian military of much consequence. Not because it is dismissive of its kinetic war capabilities, but because it knows India’s defence services are its own worst enemy, unwilling to abandon archaic doctrinal thinking. With little real joint-ness, India is unsuited for modern warfare. The military threat from Pakistan comes from its increasing interoperability with the PLA, combined with the high geo-strategic stakes that China has in the China-Pakistan Economic Corridor. These stakes would spur the PLA to support Pakistan with its non-kinetic SSF capability in a war against India. 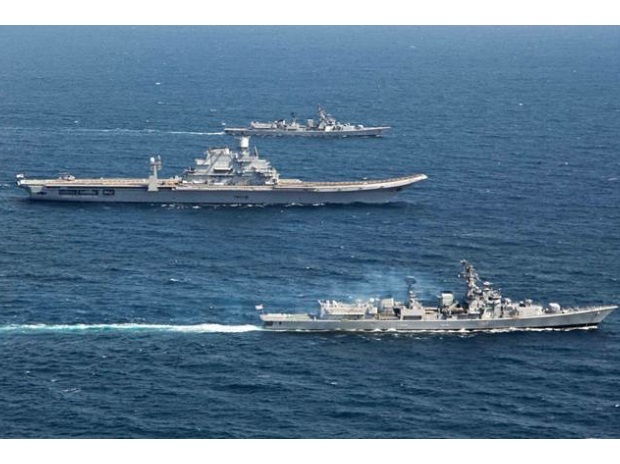 Once the military threats from the Line of Actual Control with China and the Line of Control with Pakistan are assessed properly, it becomes clear the Indian military needs joint-ness at both strategic and war-fighting levels, which it doesn’t have. This – and not what the new doctrine boasts of – would bring credible deterrence for India. There are major problems with the new Land Warfare Doctrine. The first is that the army has not one, but three doctrines; two of its own — COINOPS (counter insurgency operations) and land warfare (conventional war) — and one Joint Doctrine of the Indian Armed Forces, released in 2017. 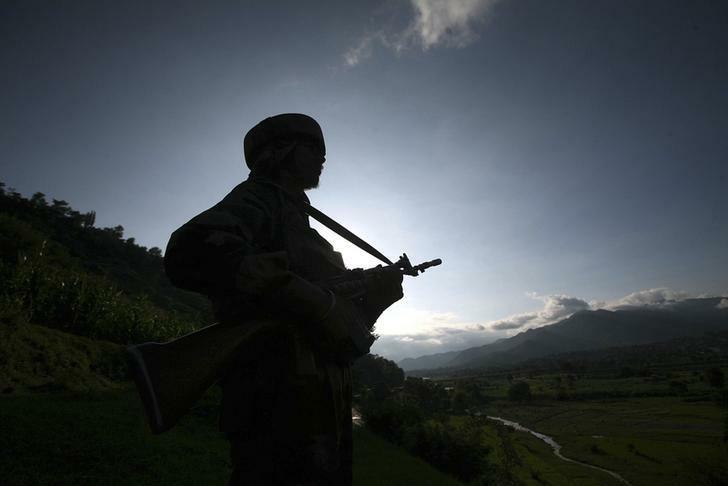 The army insists on operating across the entire spectrum from non-conventional to conventional operations, which is neither feasible nor possible. Non-conventional and conventional operations are as different as chalk and cheese. COINOPS (against Pakistan) has been upgraded to ‘hybrid warfare’ by the army chief, General Bipin Rawat. A term from the US, hybrid warfare encompasses conventional, unconventional, political, economic, cyber and so on – with emphasis on unconventional and psychological or propaganda warfare. General Rawat was made the chief for his stated expertise in COINOPS, so this is what he and most of his senior commanders have focussed on. 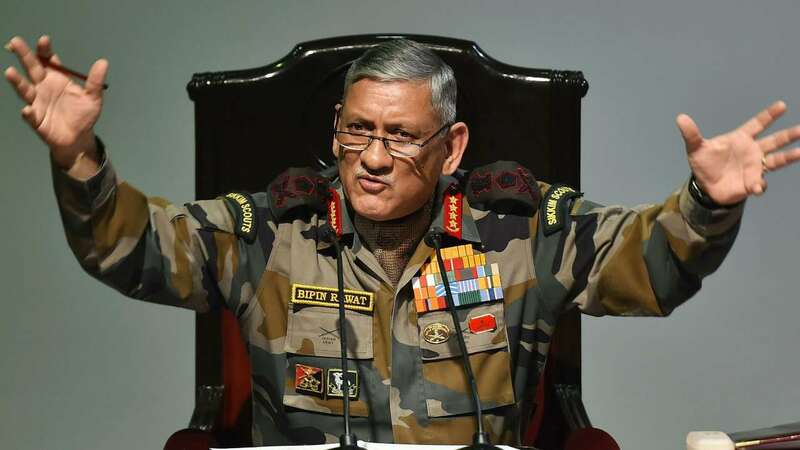 The criticism in the media of General Rawat opining on every subject under the sun, including politics, is not totally unjustified. Since his declarations come under the rubric of psychological warfare, he perhaps has the sanction of the government. If the Modi government can deep-select the Army chief for his expertise in COINOPS, why can’t it give him a free hand to address all subjects relating to national security? When the land warfare doctrine says, “a concerted effort is being made by our adversary to shrink the space for conventional war,” it is oblivious of the fact that the Indian army shrunk this space itself. Pakistan’s army has just one of its three war verticals – proxy war being run by the ISI, conventional war under chief of general staff, and nuclear warfare under strategic plans division – working on the proxy war against India. But most of the Indian army’s top brass is obsessed with COINOPS. This obsession is working to Pakistan’s war-fighting advantage: the Indian army does not have credible counter-offensive capabilities; three decades of COINOPS has blunted the army’s operational edge, making it unfit for conventional war. This is why Pakistan continues undeterred with its proxy war, killing Indian security forces unabashedly. And the Indian Army, with twice the strength, can do no more than spill its own blood. On conventional warfare, the doctrine says, “all combat operations will be as Integrated Battle Groups (IBGs), under command of combined arms operational headquarters.” This requires explaining. IBGs will be combined arms entities centred on an armour, infantry or mountain brigade (depending on the terrain), with support elements like artillery, signals, engineers and so on. The thinking is that IBGs will supplement the combat power of the pivot corps along the border. Within 72 hours of war being launched, the IBGs in tandem with pivot corps would ingress three to five kilometres into Pakistani territory. Meanwhile, the three strike corps, which would break down into smaller combat commands for faster mobility, would build up on the success of the IBGs and pivot corps. In this proactive strategy, the combined effort of the IBGs, pivot corps and combat command would aim to ingress about 10-15 km inside Pakistan as fast as possible. Sounds good. But there are two problems with this wishful thinking. First, this strategy requires regular and intense training, as it involves attachments and detachments of formations before and during war. There is nothing to suggest that the army leadership is doing this. Moreover, the army would be required to fight with whatever capabilities it has. Given the known shortages of equipment, spares and ammunition, coupled with the fact that most war-withal would be imported, this poses severe limitations on the army’s capabilities and aspirations. Two, the strategy requires an assured air cover to succeed. Nothing less than limited air superiority by the Indian Air Force (IAF) will be essential for the army to ingress successfully. Pakistan has moved nearly 25 per cent of its reserve troops and air defence missiles forward since the 2001-2002 Operation Parakram. This means the IAF has to become the lead land-war service in order to create a favourable air situation. This, however, is unacceptable to the army. General Rawat has publicly stated that the army would be the lead in war. The army, regurgitating lessons of previous wars, believes the IAF’s primary role should be to support land battles. Since the IAF doesn’t accept this archaic thinking (and rightly so), the army has decided to have its own air defence cover – thus the sought induction of US Apache armed helicopters. Such unreconcilable differences between the IAF and the army on who will be the lead have resulted in the lack of a joint doctrine for continental defence. The 2017 Joint Doctrine of the Indian Armed Forces was drafted by the Integrated Defence Headquarters, which is an administrative rather than an operational headquarters. The ultimate irony: the Indian military has a joint doctrine for contingency situations (which it might rarely use), but none for land warfare. Without the latter, its hope of fighting a short, swift and intense war, which the army keeps talking about, will remain a pipe-dream. Since the Indian military, unlike major powers, is not a global force, its plan should either be threat or capability-based. With a limited annual defence budget of $49 billion, an uninspiring research base, coupled with well-defined threats, force development should be threat- and not capability-based, which is an open-ended concept. Since the army is unwilling to relinquish or reduce COINOPS and other peacetime activities, it wants to have it both ways. To modify the Lincoln quote, an army divided against itself cannot stand. So it is with the Indian army. By insisting on COINOPS as its primary task, its role in conventional war – forget overall deterrence – is shrinking fast. The greater worry is that its primary role may be reduced to mere border management. Here, too, the question is: why should the nation spend huge amounts on the army when its tasks can be performed by the Central Armed Police Forces, which are, incidentally, already being trained by it.